Those readers who have been RBOA members for several years will be aware that, as Editor of your magazine, I do not write an Editorial on a regular basis. 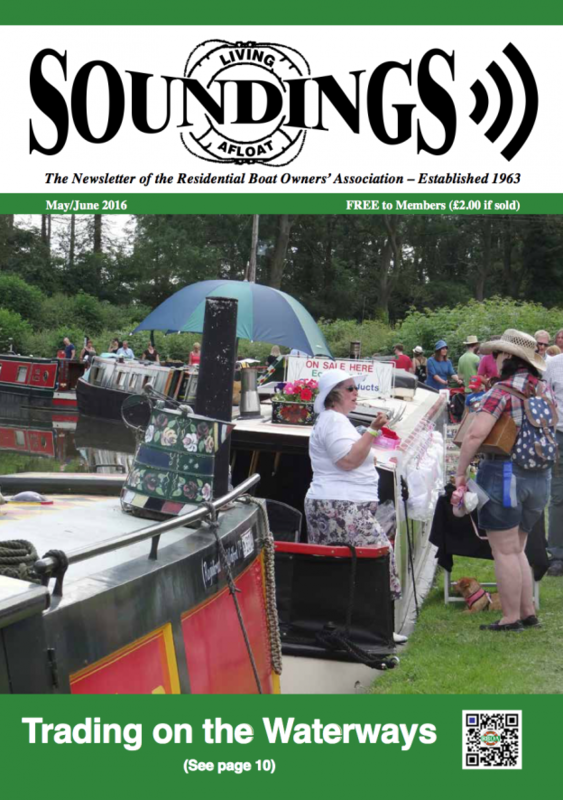 In fact I can only remember one occasion when I did write one – when our magazine was recording the RBOA’s 50th Anniversary celebrations in 2013. Now, three years on, we have something else to celebrate – the launch of our new RBOA Website. This has been talked about for many years, and has finally come to fruition. We hope you enjoy reading it to find the most recent updates on what is happening around our canals, rivers, lakes, Broads, harbours and creeks, particularly when many of the items could have a considerable impact on us as residential boaters. When you visit our new site you will find that the name is the same (www.rboa.org.uk) but the site certainly isn’t. We hope you enjoy the new look. You will see that we now have a “Members’ Forum”, which those of you with access to the internet can sign up to. Click on the “RBOA Members’ Forum” button on the Home Page, fill in the relevant details, and your application will be activated as soon as possible. You will receive a log-in password, which you can change to one of your choice if you wish. If you do not have internet access on board, you might like to consider visiting a local library or internet café, so that you can check out what’s on offer on our new website. When you visit the new site, you will find, amongst other things, updates on consultations and RBOA responses; Press Releases from external organisations, etc., such as Canal & River Trust, Environment Agency, Broads Authority, Boat Safety Scheme; and advertisements and details of RBOA Leisure Wear. News is being added regularly, as are dates of RBOA meetings, events we plan to attend, so on. Also, as we discover them, items related to the history of the RBOA make an interesting read. when this information can be added to our website. In fact, by the time you read this, it may have been added! If you trade from your boat, or run a land-based business, and are interested in promoting it by offering a discount to other RBOA members, then please contact Charles (rewards@rboa.org.uk or on 07906 656218) to discuss it with him. Don’t forget the Crick Boat Show on 28-29-30 May, where RBOA will be on Stand WW33 (in the main boating marquee). Come along and have a chat, and see what we have on offer. Enjoy the new RBOA website.